Orkney is world-famous for its spectacular Neolithic archaeology, and now visitors from all over the globe will be able to explore one of its most enigmatic monuments, after a new virtual tour of Maeshowe chambered tomb went live today (29 August). 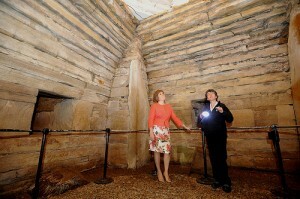 In a video unveiled yesterday by Scotland’s Deputy First Minister Nicola Sturgeon, the structure of the 5,000 year old monument has been recreated using 3D laser-scans carried out by the Scottish Ten project – a collaboration between Historic Scotland, Glasgow School of Art and CyArk, to document Scotland’s five UNESCO World Heritage Sites and five international sites using cutting-edge digital technology. 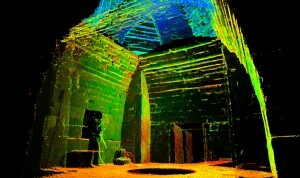 This data will be used to help research and conserve the monuments. Maeshowe is shown at the winter solstice, when the setting sun shines directly down the monument’s entrance tunnel to illuminate its central chamber. Covering every inch of the inner rooms of the tomb, the animation also tours the outside of the mound and reveals how it was constructed in a detailed cut through.